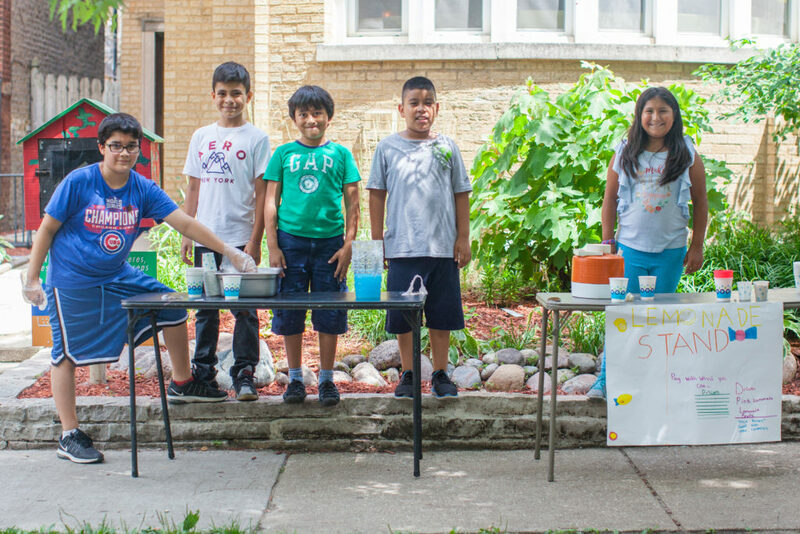 This summer Family Matters once again offered the Learning Matters summer program for area youth entering grades 2-6. The program included hands-on classes around a variety of engaging topics, educational field trips (including an overnight camping trip), one-to-one literacy tutoring sessions, and many leadership development activities. Youth signed up for week-long morning and afternoon classes, all of which involved project-based experiential problem solving. In Cupcake Wars, small groups adapted a basic cupcake recipe and decorated the cupcakes to represent countries in the World Cup. The groups then competed in the “World Cupcake Challenge.” In Mad Scientists, youth created a parachute to drop an egg safely to the ground from the 2nd floor fire escape. In Creative Expression, individuals used art materials to create a visual depiction of themselves. In The Building Challenge, popsicle sticks and hot glue were utilized to create a bridge that supported as much weight as possible. 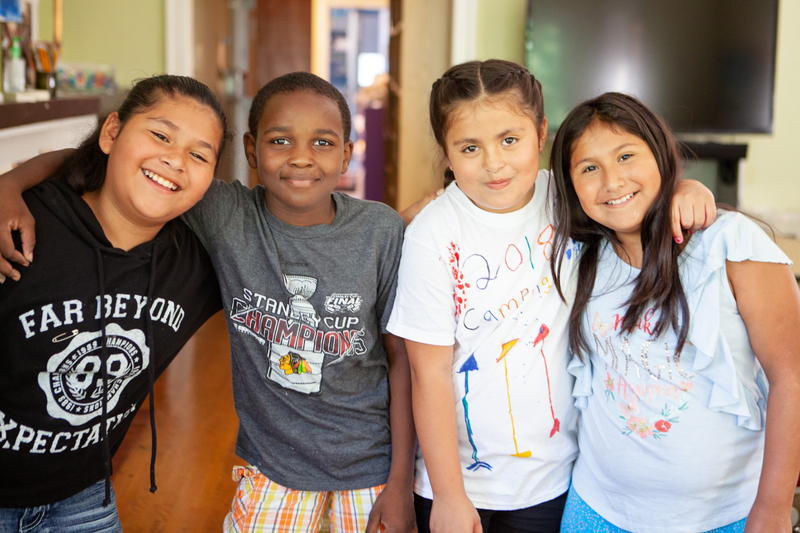 Youth also solved mysteries, created new crayons from crayon scraps, made every kind of slime imaginable, and created cheer routines and dance moves. They learned about animal species, native Illinois plants, and the properties of human blood and how it travels through the body. When it was time to divide up the proceeds, each of the 13 team members had earned $4.50. There were happy faces all around! Underlying all of the fun, the new experiences, and the learning were opportunities to work together to accomplish tasks, to build friendships, to gain and sustain academically, to care for each other, and to build confidence in one’s own abilities to think and create and solve. Many field trips were incorporated into morning and afternoon classes. Tea Time culminated in a Beach Tea Party (requested by the four girls in the class). The group prepared chai tea in a thermos, packed a bag with tea cups and treats, and then dined at the beach front. Before dipping their feet into the water, the group shared what they appreciated about one another. 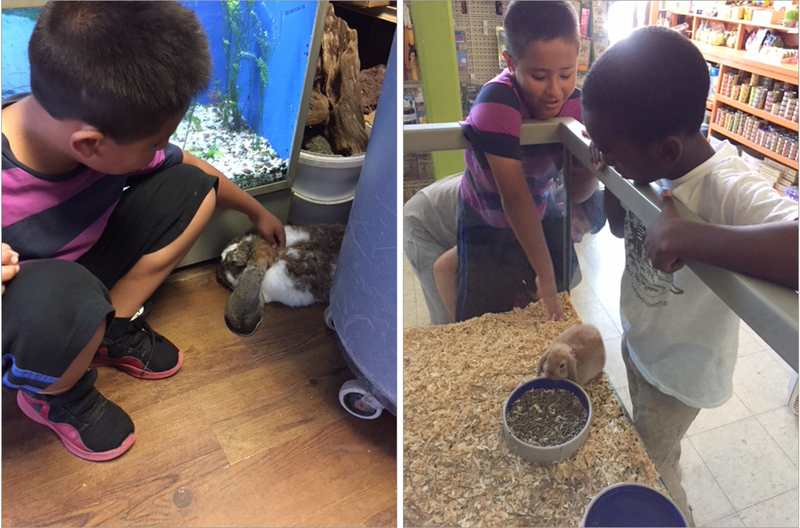 The highlight of Animals & Conservation was visiting Not Just Thee Fish Bowl, a pet store in Evanston full of exotic and diverse animals. The youth in the class saw numerous species and loved petting rabbits, guinea pigs, snakes, ferrets, birds, a tortoise, and the store cat, which one of the youth insisted on naming “Steve.” It was exciting to see the children interact with the animals with such curiosity and interest that time stood still. Other groups visited Emily Oaks Nature Preserve, The Skokie Sculpture Walk, Patisserie Coralie, and Calvary Cemetery. Tents were pitched, a campfire was lit, meals were made together as a group, trails were hiked, boundless games were played, a hammock and tree swing were set up, crafts were created, and so much fun was had! 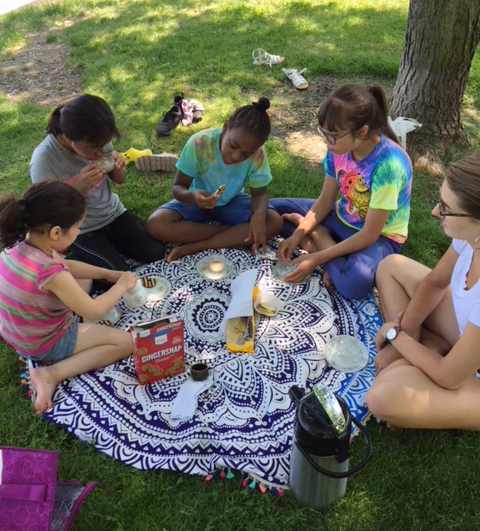 For a number of youth, this was their first experience “camping,” or it was a first experience in a different way; two students made and tasted s’mores for the first time. It was a wondrous two days, full of fun, creativity, and deepening relationships. Every student in Learning Matters participated in Power Hour – an hour on Tuesdays and Thursdays every week dedicated to reading and literacy activities (and a little math). Additionally, the students were encouraged to participate in the Reading Challenge: to read 500 minutes — 100 minutes per week for each of the five weeks of Learning Matters. Students could count the time they read during Power Hour and also read at home to reach that goal. 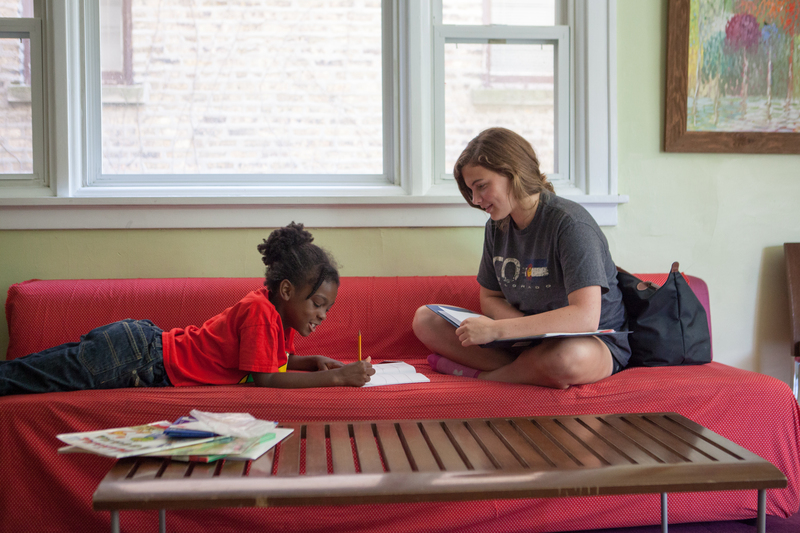 Each child was encouraged further to partner with a parent, older sibling or another adult family member and read together during these summer weeks. It is such an affirmation to witness the joy and enthusiasm for the learning environment and student camaraderie at Learning Matters each summer.